Graphical interface to making behat tests and storing reports. 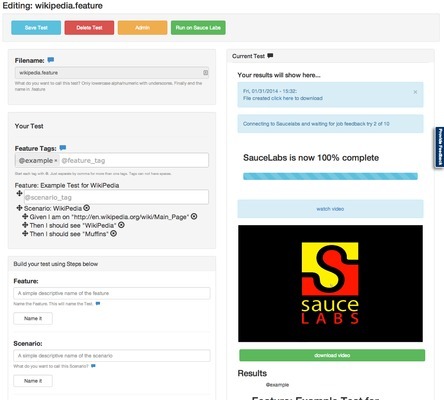 This integrates with Saucelabs and Github! So your tests can be uploaded as needed to github as well as run on Saucelabs.